Top Rated Local® is pleased to announce that Veteran Janitorial is a 2018 award winner for janitorial companies in California! For office cleaning services that can’t be beat in Victorville, Hesperia, Apple Valley, Adelanto, Oak Hill and the entire High Desert, look no further than Veteran Janitorial. Veteran Janitorial has earned dozens of online reviews with an average rating of 4.95 stars, an incredible Rating Score™ of 95.53 and a 2018 Top Rated Local Award for being ranked among the top 10 janitorial companies in all of California! Every employee at Veteran Janitorial arrives at the job in uniform and looking professional, and they use top-of-the-line equipment to get the job done. They are also a bilingual company, making it possible for them to communicate to their clients in both English and Spanish. 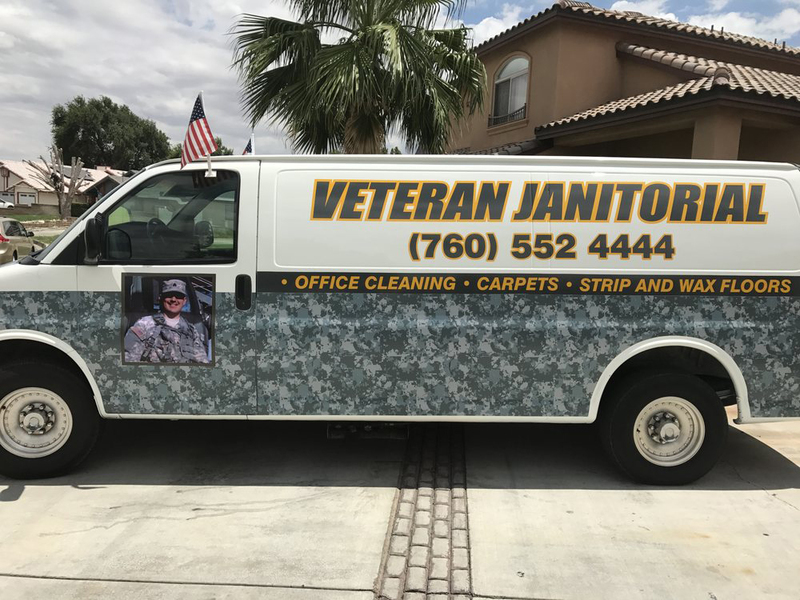 Andre Casillas, the owner of Veteran Janitorial, and his wife, Maria were both in the army, and they are dedicated to growing their craft and their company. “I really love what I do, and want to be known as the number one janitorial company in California. I take the time to really appreciate all of my customers. Ultimately, this business has given me the ability to spend a lot more time with my family. Andre credits Veteran Janitorial’s strong online reputation to his team’s commitment to being upfront and honest with their customers at all times. Outside of building a respectable online reputation, Andre does a lot of grassroots marketing to grow Veteran Janitorial. 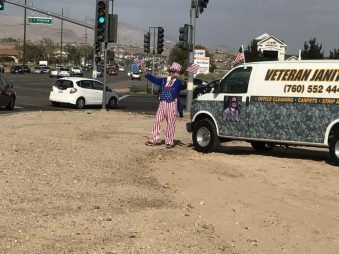 He’s dressed up like Uncle Sam to raise awareness for the company. He also sponsors a local soccer league and has a wrapped van that a lot of people in town are starting to recognize. Congratulations to the team at Veteran Janitorial for being a 2018 Top Rated Local award winner, and thank you so much, Andre, for taking the time to speak with us! If you’re looking for professional janitorial services that are second to none, we highly recommend Veteran Janitorial. Visit their website today!